Brie Thompson will be a guest speaker at the Olive Oil Conference in the Chicago area on July 20, 2017. 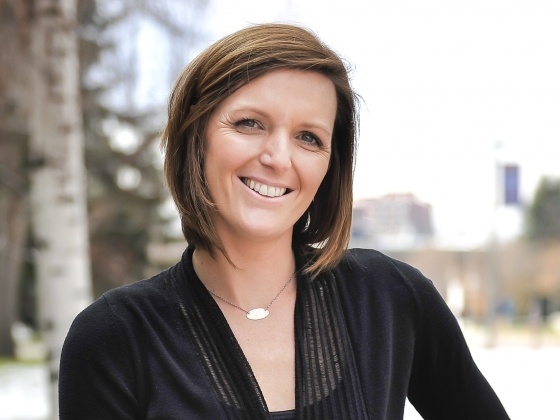 Brie Thompson is the proud co-founder of Olivelle in Bozeman, Montana. Brie Thompson opened her business in 2009 hoping to change the way people think about olive oil and vinegars. Olivelle started as a small retail boutique that features high quality extra virgin olive oils and balsamic vinegars as well as herbs, spices, and fine ingredients. Today Olivelle has expanded to dozens of stores across the U.S. and Canada. Brie is passionate about sharing her love for high quality extra virgin olive oils. You can read more about Brie Thompson and her business in an interview with MSU News here. In 2015, Brie earned the title of Woman Entrepreneur of the Year for her success with Olivelle and its sister stores. Watch this video of Brie speaking about how she got her start. The third annual Olive Oil Conference, co-hosted by the North American Olive Oil Association (NAOOA) and International Extra Virgin Olive Oil Savantes, will be held July 19 to July 20, 2017 at the Westin O’Hare in Rosemont, IL. The conference brings together olive oil marketers, distributors, and experts in the health and culinary fields. In addition, the conference welcomes health advocates, foodies, and culinary enthusiasts looking to expand and diversify their knowledge on the subject. The two-day conference will offer insights from experts related to health, cooking and trade -- with a focus on practical applications. In addition to topical sessions and cooking demonstrations, group workshops will offer attendees hands-on opportunities to cook (and eat!) foods inspired by olive oil as an ingredient. Attendees will gain first-hand experience by tasting a wide range of oils and enjoying olive oil-focused meals. Attendees of the upcoming Olive Oil Conference will have a chance to meet Brie Thompson who will give a talk titled "Franchising – The Present and Future," a discussion on the role franchised oil and vinegar stores are expected to play in the supply and demand for olive oil.